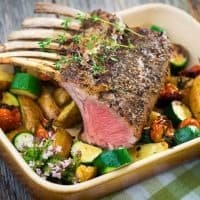 Rack of Lamb can be an intimidating dish to make especially when you’ve tried restaurant style lamb. It’s almost so good you don’t even want to make it yourself. 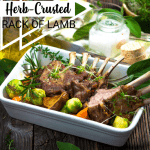 Well, that’s all about to change because this Easy Herb-Crusted Rack of Lamb will put your faith back in cooking because it’s just that good! Before my husband and I attempted to make this recipe, we did our research. 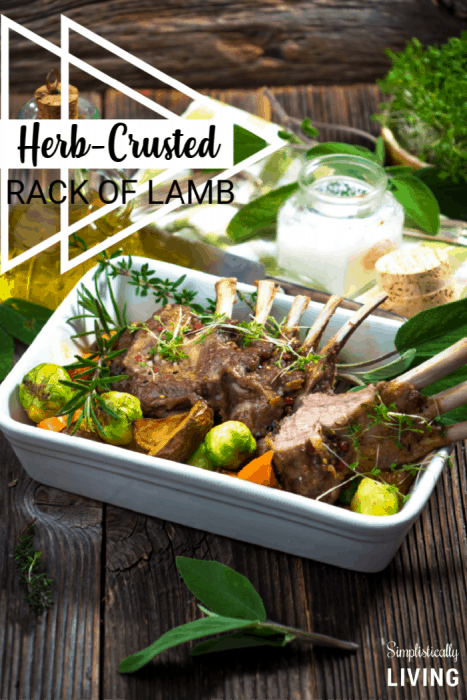 We really wanted to know what we were getting ourselves into and we found out there is really one true secret to making the perfect rack of lamb every time. What is the secret to making the perfect rack of lamb? It’s simple – the secret is, to NOT overcook it. 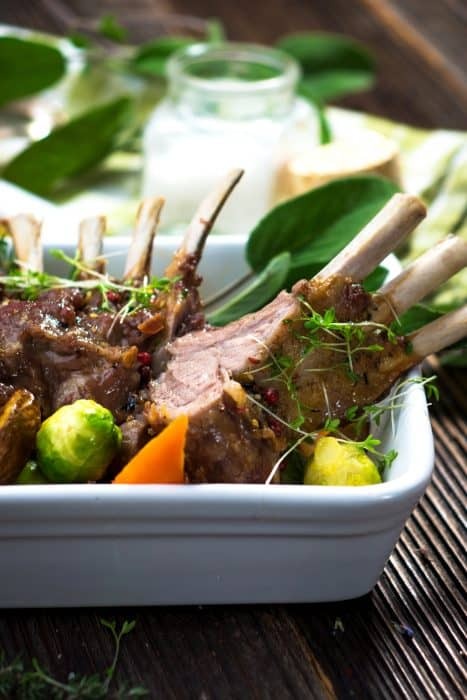 While it’s such a simple step, so many ignore it and end up with overcooked, tasteless lamb and that is never good. 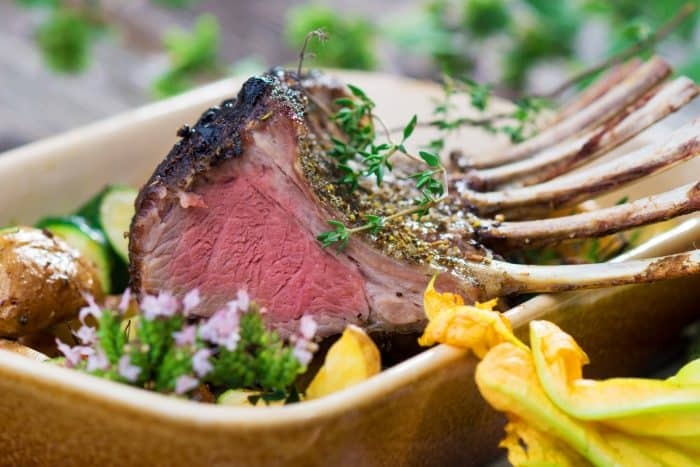 So, just keep in mind that lamb is meant to be eaten medium-rare to medium in temperature and anything over that, can really make your meat lack that juicy, flavor you know and love. Okay, let’s get to making this super easy and delicious recipe! First, preheat your oven to 375ºF. In the meantime, in a large bowl combine the parsley, onion, dill, breadcrumbs, oregano, salt, and pepper and mix well. Next, pat the mixture on the outside of the lamb racks. Be generous with it. 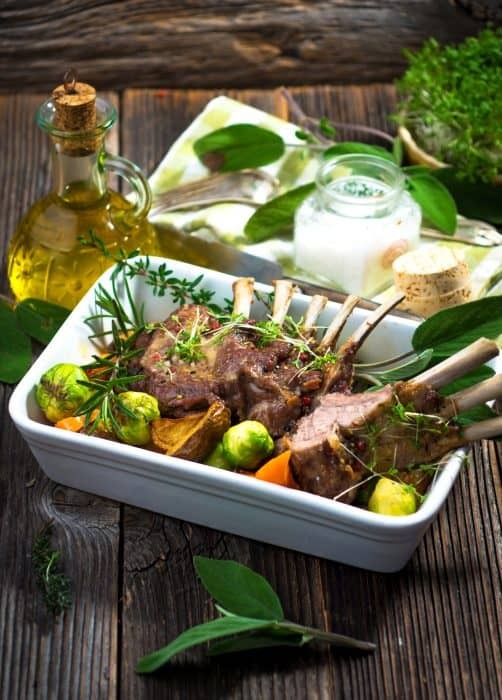 Now, place the lamb on a broiler rack, bone-side down, in a shallow roasting pan. Roast the lamb for 30 to 35 minutes or to desired degree of doneness: 145ºF for medium-rare, 160ºF for medium or 170ºF for well. Once done, remove the lamb from the over and cover the lamb and let stand for 10 minutes. (The internal temperature will rise approximately 10 degrees.) This allows the meat to rest. 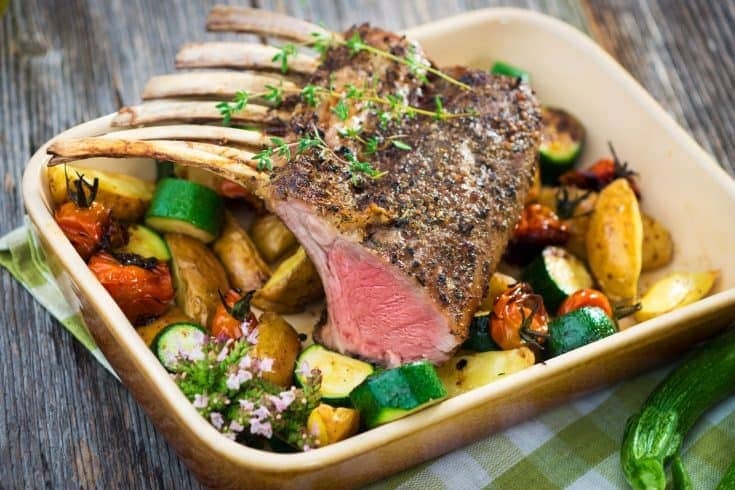 Finally, slice the lamb and serve. I’m telling you, if you’ve never tried mint jelly with your lamb, you need to. It changes everything!